If you've been thinking about a holiday destination, there is one place and that place is the country of Thailand. From tourist places like the amazing the historical Ayuthaya Park, Koi Samui Island, simply enjoying a city tour in the city of Bangkok, there are massive places of attractions that will make any tour more delightful and enjoyable. If you plan to visit this most beautiful country, there are some wonderful locations that you absolutely cannot miss. Ko Tarutao is one of the 51 islands that belong to the Tarutao National Marine Park archipelago in southern part of Thailand. One of Tarutao’s greatest attractions is its wildlife: sea turtles, whales, crab-eating macaques, mouse deer, monitor lizards and more all call the island and its surrounding waters home. 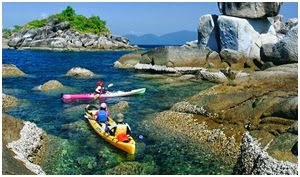 Koh Tao, also known as Turtle Island, is a tiny island located near the eastern shore of the Gulf of Thailand. Diving around the island reefs is easy and fun and you can see an impressive variety of marine species such as turtles, different types of small fish, coral, and barracudas and there is a very small chance of seeing a whale shark. Phetchaburi (123 km) has many tourist spots, including the famous Cha-am beach and many other beaches, scenic mountains, historical sites, limestone caves and ancient temples. Chanthaburi (245 km), a coastal province renowned for its gemstones, hot pepper, fruits and Chanthabun mats. Bang Nam Pheung Floating Market, Khlong Lat Mayomg Floating Market about 1 hour from Bangkok, is very famous as it’s almost like a zoo. 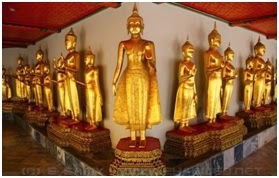 Golden Mountain Temple - While Wat Phra Kaew and Wat Pho receive most of the temple attention in Bangkok, the Golden Mountain is also pretty cool to see – I like it because you can climb to the top of the hill to enjoy a nice view of the city. Erawan Elephant Museum - This museum is not actually in Bangkok, it’s just outside, but it’s really worth a visit as a unique attraction if you have the time. Thailand is a magnet for divers, who take advantage of a whole other underwater world. 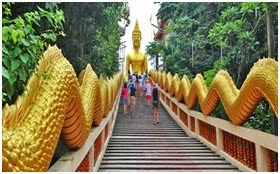 Pattaya is one of the most popular cities for tourists to visit in Thailand. This areas takes up most of the Banglamung coastline and is divided into a larger section, which extends east of Naklua Beach (the most northern beach in Pattaya), and Pattaya Beach (the main beach) as well as the cape of Buddha Hill, which is in the southern part of Pattaya Beach. Art in Paradise Pattaya is another great place for tourists to visit in Pattaya City because in the present, it is the first and only one illusion art museum - the museum presenting Anamorphosis. Ko Samui is an island in the Gulf of Thailand, approximately 700 km south of Bangkok encompassed by excellent white sand sunny shores, clean, clear warm water; lavish tropical enclosures and delicate sea breezes anticipate you at this perfect occasion end of the line. Apart from these Koh Samui shores alternate attractions are, warts, pagodas, and sanctuaries. 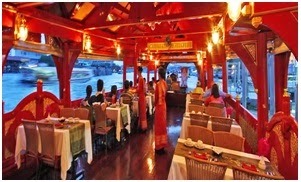 Experience the Chao Phraya River under candlelight with the beautiful on the sumptuous Grand Pearl. In the wake of being invited energetic about warm greens and mixed drinks, you'll start a voyage up the stream, beginning at River City Pier, and then passing such famous sites as Wat Arun, the Grand Palace and Wat Phra Kaew.